Imposing and implementing your personal thoughts and expressions on others is not at all acceptable, and when you are in power and abuse your position to enforce your school of thought on people under your consent, it becomes more like a dictatorship. Islam has given freedom and puts some restrictions on us, for our own good. We can read and understand it in the Holy Quran, the most authentic of the books in the world, but we cannot make rules and regulations from within in. This is the work of scholars and institutions working in Islamic countries. Islam is not about forcing your personal beliefs and thoughts. Islam is above our ego, Islam was the first religion which gave proper and complete rights to the women. The Prophet of Islam, Prophet Muhammad S.A.W. did not force anyone, neither did he said anything from his own mind. He conveyed to us the message of Allah and taught us by his actions what Allah S.W.T wanted us to learn from him. In past, every woman heard a sentence “You are a woman, cover your face”, but now we can say that this sentence has disappeared from our society because people of the present Era are jumping into modernism and they are free and are much aware of their rights. Recently, an Incident was reported from Riyadh where the Judge expel the female employee out of the building because she was not covering her face. Many people believe that they can control women and her appearance, but now this is not. 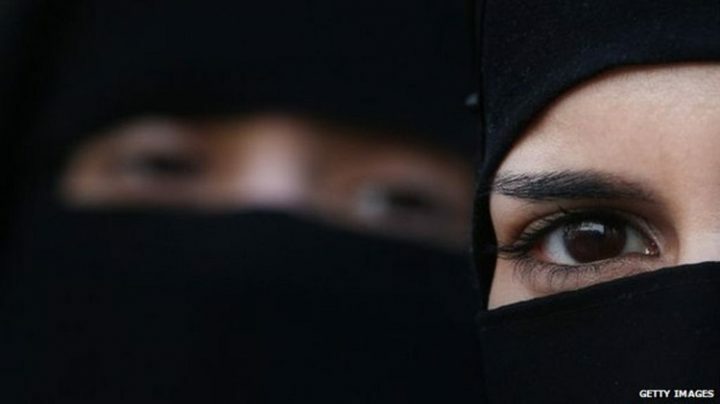 No law in Saudi Arabia, commands women to cover their faces. This is a matter relating to her personal freedom. No one has the right to make their own laws and force citizens to follow them. A judge has no right to force a woman to cover her face. If there is a law that a woman cannot enter the court unless she has covered her face, so they should write it on a notice board outside the court. No one has the power to forbid a citizen from entering the Court due to a superficial reason. Courts are there to provide justice to people and no one can stop any citizen from entering in. Even men are allowed to enter the court in untraditional dress, this rule should be restricted. All citizens should be served and they should be provided with justice, no matter whatever they are wearing. Is there any Law that says throw out the woman or the man from the building because they were not dressing according to the norms and did not meet the standard of understanding the religion. Everybody should apply his belief to himself or his family, whether he is a judge, a common citizen or a great personality. The judge who expelled the employee was trying to practice his own belief to a government institute that belongs to the Kingdom and not to himself. No one has the right to control another person’s personal choices. Such behavior is a part of the past not present. And this should be stopped now.